Collaborative divorce is a relatively new process available in Florida. The Collaborative Law Process Act went into effect in July 2017. Collaborative divorce is not the same as a mediation in a divorce proceeding. Collaborative divorce is a new alternative to traditional divorce proceedings in Florida. It does share some similarities with mediation, but it also has a number of important differences that help set it apart. The process of collaborative divorce is used in disputes as an alternative to more costly and lengthy standard litigation. 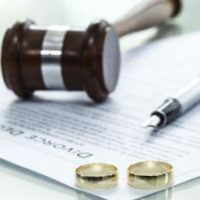 Each side is still allowed to have their own Florida divorce attorney representing them, but the outstanding issues are discussed and negotiated in a less formal setting than a formal proceeding in front of a judge who renders a decision. Collaborative divorce begins with both sides signing a participation agreement. One of the important terms of the agreement states that if the case doesn’t resolve during the collaborative process, you and your spouse must retain new counsel and essentially start from scratch with a traditional divorce in the Florida courts. During collaborative hearings, documents are exchanged and both sides share in the cost of hiring professionals and experts as needed. Perhaps you need someone to provide a valuation of your business or a mental health professional to assist with facilitating issues related to child custody and visitation. Mediation takes place as part of a traditional divorce filing. It is typically a one-time meeting and both parties are brought together with a mediator in an attempt to resolve outstanding disputes. In Florida, the attorneys are allowed to be the room. The meeting is run by a neutral third party, the mediator. The mediator has no authority to render a decision or enforce a settlement. If there is no agreement reached during the mediation, the court will continue with the divorce proceedings. One of the main differences between mediation and collaborative divorce is that a mediation is usually a one-time, long and drawn out meeting. Collaborative divorce is a process where parties meet multiple times, usually for a few hours at most each time. There is a greater incentive to settle during collaborative divorce because if there is no resolution, the parties are required to start all over and retain new attorneys. Mediation is often more flexible than collaboration. There is no requirement to have an attorney in mediation, you can just meet with a mediator to discuss your case and see if there is a chance to negotiate a settlement. This means there is no risk of losing your attorney if the mediation doesn’t settle, whereas a collaborative divorce can end up being more expensive if the process doesn’t result in a settlement. Timing also differs between collaborative divorce and mediation. Mediation is often a tool used just before going to trial whereas collaborative divorce is all about the resolution and settlement process. If you have questions about collaborative divorce or mediation, it’s important to speak with a skilled Boca Raton divorce attorney. Contact the Law Offices of Schwartz | White at 561-391-9943 to schedule a consultation.